If you've been wondering why I-90 has been filled with so many more terrible drivers than usual, I can tell you this: it's not just them — it's the weather. This time it's not just Seattle that has been hit with a record-breaking downpour — 21 cities and towns across Washington and Idaho had record rainfall this month; for many it was the most rain since 1947. Spokane also broke a record for the most monthly rainfall in recorded history, with 6.21 inches of total rainfall. This amount breaks the previous monthly record set all the way back in November 1897, of 5.85 inches, as well as the old October rainfall record of 5.41 inches, set in 1947. Normally, average rainfall for Spokane in October is 3.48 inches. Spokane also set a daily record for rainfall this past Sunday, Oct. 30, with 0.91 inches compared to the last record of 0.70 inches in 1990. Priest River, Idaho, had the most rainfall with 9.26 inches this month, breaking the 1947 record of 8.31 inches; St. Maries set a record with 9.19 inches compared to 6.31 inches in 1955; and Boundary Dam had the largest increase in record rainfall, increasing from a high of 3.97 in 1968 to a high of 8.76 inches this October. Olympia, Colville, Pullman, and Ephrata are also having their wettest months in recorded history. Meteorologists have reported that this rain is caused by two separate low-pressure systems along the Pacific Coast, off the coasts of Washington and California. The rain is supposed to slow in coming days, but NWS did post a warning to look out for winds that could reach 40 mph in Spokane County and the Palouse this Halloween night. Whether or not this weather will continue is up in the air: with only a 30 percent chance of rain tonight, trick-or-treaters shouldn't be deterred but may want to bring an umbrella just in case. 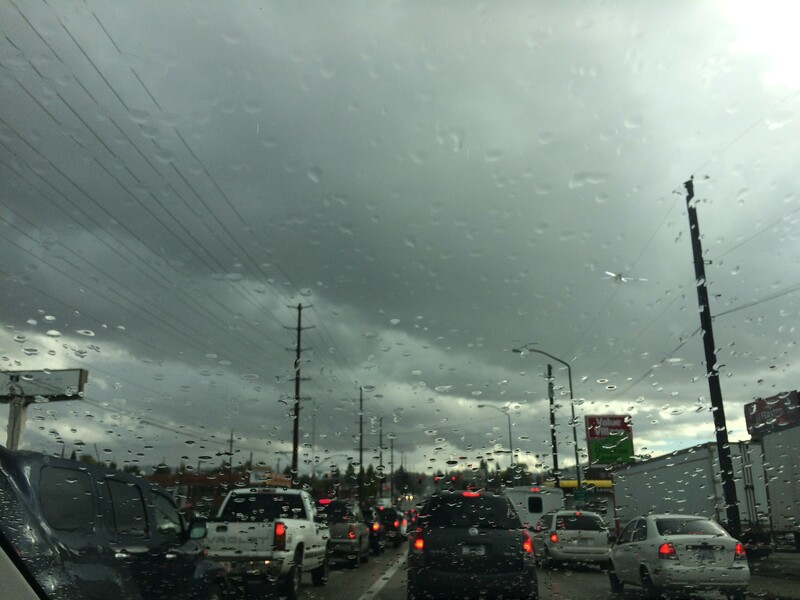 And even if it does keep raining, there's absolutely no reason to go 50 in the left lane on the freeway. Just in time for Halloween, the Inlander EXPOSES dopplegangers of the Inland Northwest!